One of the highlights of my recent trip to Hokkaido, Japan. 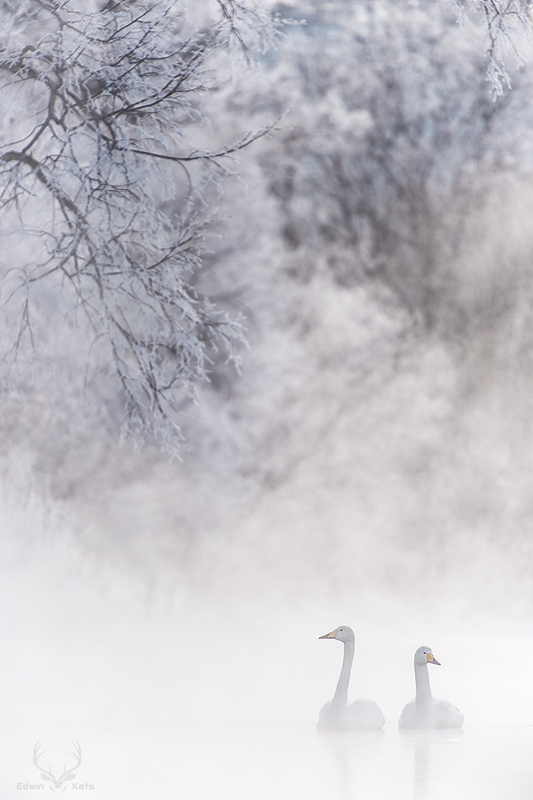 It was a very cold morning and all the elemets for a nice dreamy image were there. Hope you like it as much as I do. 316.4 kB, 666 x 1000 Pixel. I like ist so much, it's wonderful! Even in German, dear Edwin, I wouldn't be able to express properly my enthusiasm by regarding this wonderful and, of course, dreamy pic. Compliments and congratulation! Very nice, for me picture of the day! Excellent work, and many greetings from Austria. Very very charming Edwin....wonderful emotional pic.